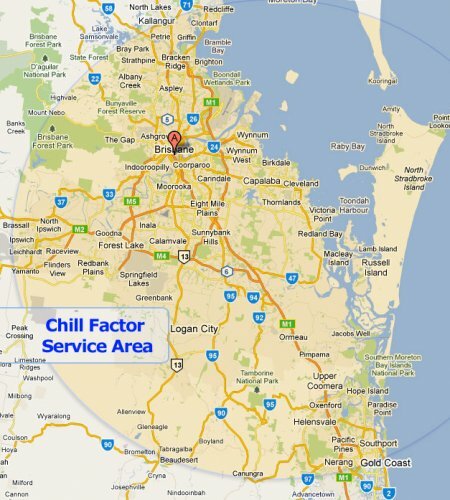 Chill Factor services the areas highlighted in the map. Please contact us if you’re unsure about your area. Should you want a second quote on any air conditioning or refrigeration installation and you are outside our service area please give us a call.